Digital Camera Magazine is the World's BIGGEST digital Photography magazine and is for the creative digital photographer who wants to take and make better pictures. 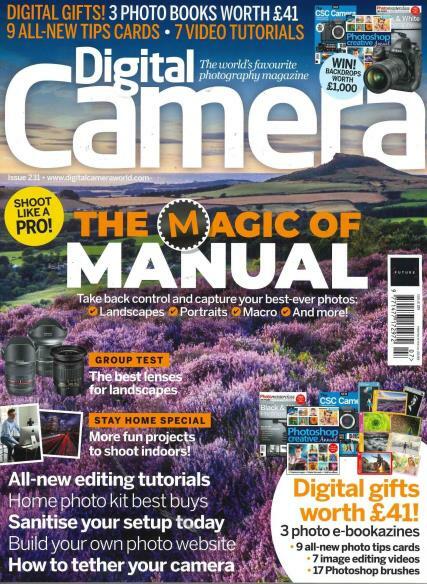 Buy a single copy or subscription to Digital Camera magazine. It provides you with inspirational photography, clear tips and tutorials, expert image editing techniques and clever ideas. Plus a free CD with every issue. Get the most from your digital camera by taking out a Digital Camera Magazine subscription - your practical guide to creating better photographs. Each issue is packed with inspirational images, expert techniques and essential tips for capturing great images. Once you have taken your shots, you will learn how to use your computer to perfect them.